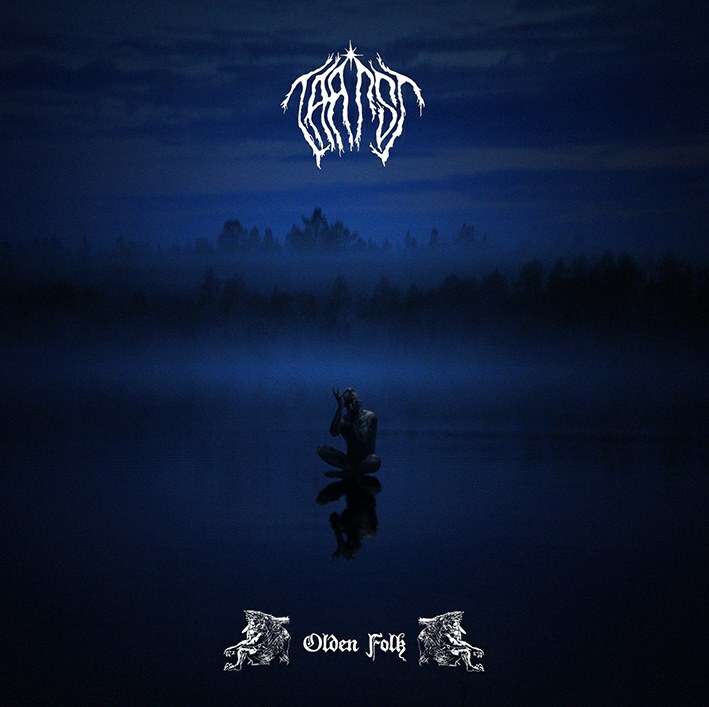 Taatsi are a Finnish black metal outfit rooted in mysticism and natural elements. The brainchild of Antti Mikonmaki (of Vinoristi), this two man project have just released their second record, entitled ‘Olden Folk’. It possesses an almost hypnotic, rabid buzz about it, with a thick cloying atmosphere that chokes the listener. ‘Departure of the Olden Folk’ is a beautiful example of their modus operandi. Dense, throbbing drums underpin an incessant droning buzzsaw guitar while keyboard melodies intertwine with a rasping vocal. ‘Olden Folk’ is full of mid-90s BM references, and is rife with menacingly slow sections. The swaying gloom of ‘Nightfall by the High Hill’ is almost like very old Cradle in its delivery, but without all the gothic histrionics. The music feels old, like it comes from a bygone age where the spirits of nature rule. ‘Midsummer Thunder’ is full of soaring pagan melody, while ‘The Airs Carry Beneath the Waves’ possesses the same, light atmosphere. That is not to say that ‘Olden Folk’ isn’t heavy and blackened. At times, it is as traditional black metal as they come. But Taatsi work to make this worth your while. There’s black metal, slices of trad metal sneaking in places, topped with a delightfully restrained use of the keyboards. ‘Chimes from Konivetsa’ blends some subtle keyboard notes in to enhance the mood. ‘The Beauty That Sighs with the Woods’ has a delightful acoustic intro, before a mournful and majestic black metal riff appears.